#1: Florida Roofing Warranties – They’ve Got You Covered… Or Do They? This is the 1st installment of “Ten Things About Roofing You May Not Know!” which you can download as a free eBook. A Florida roofing warranty might sound reassuring. Wouldn’t you want a formal written promise that your roof will be repaired or replaced if anything goes wrong? A roofing warranty should never be the primary reason to choose a roofing product or installer. Why not? A long-term or lifetime warranty won’t do you much good if you have an inferior roof that constantly leaks or fails. It would be much easier and more practical to make sure your roof was correctly constructed in the first place. On the other hand, if you go to the trouble of hiring a reliable & reputable roofing contractor, like West Coast FL Enterprises and Collier County Roofing, as well as the right materials, then an expensive warranty may be unnecessary. Some manufacturers use their warranty as a marketing device rather than providing a truly valuable service for the consumer. Be sure to question what’s really being covered! After reading the fine print, you might discover your warranty only covers explicit product failure – not leaks or other problems that might arise. As the old adage goes… “Education is what you get when you read the fine print, Experience is what you get when you don’t!” In other cases, the manufacturer might be out of business by the time your roof fails – leaving you out in the cold. Don’t let a warranty fool you into thinking you don’t have to do your homework before making Florida roofing decisions. Take responsibility for performing necessary maintenance during the life of your roof. That’s the best thing you can do to protect yourself and your investment. Make sure you request an NDL (No Dollar Limit) Warranty, if available form the manufacturer. There shouldn’t be a maximum out-of-pocket limit by the manufacturer. A flat roof warranty should be a “system warranty” covering ALL components of the roof system. Most manufacturers’ flat roof warranties will exclude any material they didn’t produce. Try to get at least a 15 year warranty, or even 20. The difference in fees is minimal. Some now offer 25 years for an additional fee. Ask the installing contractor if they are willing to provide all required roof maintenance for the duration of their leak warranty. The contractor warranty is typically 3-5 years. A final important note on warranties: the installing contractor is on the hook 100% for the first two years of the manufacturer’s warranty. During those first two years, the manufacturer has no liability. That’s another great reason to be sure you’re serviced by professionals like West Coast FL Enterprises and Collier County Roofing. 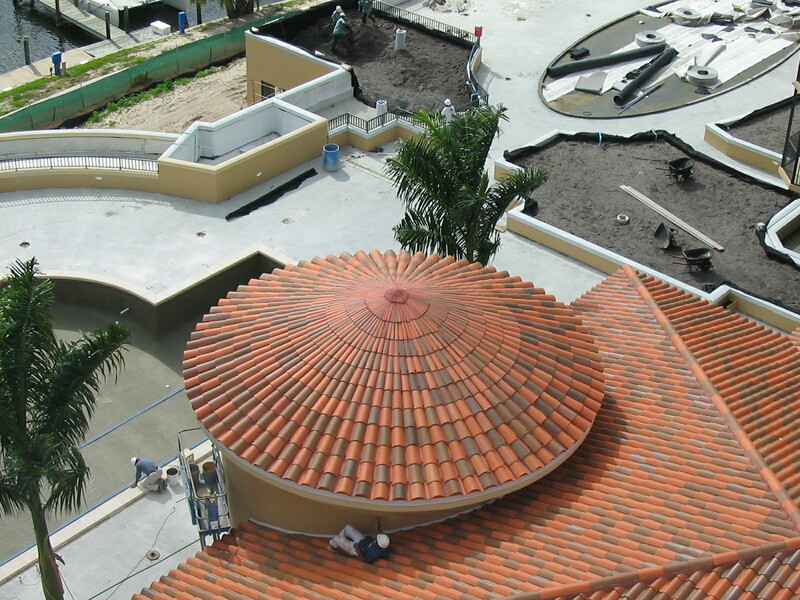 Call us at (239) 433-9777 or contact us online for all of your Florida roofing needs. I will like to say thanks because you are telling us about commercial and other roofing service. which is rally need for peoples. i sure you will get good news. Here i really like this post as well your content font style.